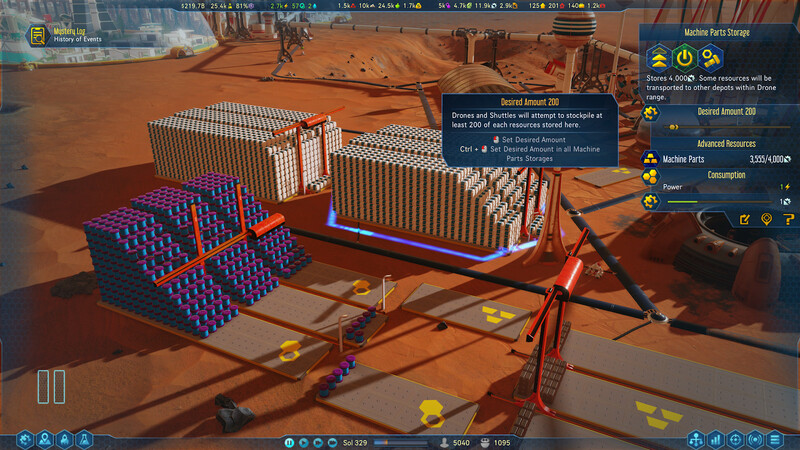 Plenty of improvements are on the way for the sci-fi city builder Surviving Mars from Haemimont Games, with the upcoming update code-named Da Vinci including a new creative mode. 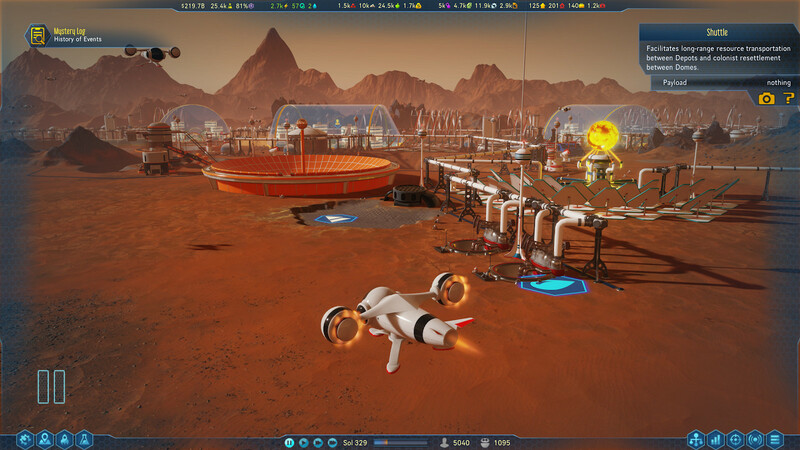 A creative mode is a pretty major change for Surviving Mars, since it is a city-builder but it's also a survival game as part of the fun is the challenge of it. Not everyone seems to like that, since some just want to build an awesome city. So the creative mode they're adding in will remove building malfunctions, a revealed tech tree with easier research, rockets travel faster, scanning sectors is faster, buildings don't need resources to be built and so on. All the new rules available for the creative mode, can also be selected individually for you to really make the experience yours. They're also making tweak to storage management, allowing you to set a specific amount of each resource you wish to store. By doing this, they've made it a lot easier to prepare what resources you need to expansions as the current storage feature isn't great—so I'm pretty pleased by this change. Additionally, you will no longer need to connect power lines for every single building you plop down, as new buildings will be automatically connected to the grid when placed next to a building already connected. You still need to build power lines to extend your reach, so the feature is still there it's just less annoying power-line micro-management. The pace of the game will also be adjusted with this free update, to make it less painfully slow at times. Drones are faster, building costs have been reduced and also rocket and shuttle fuel consumption has been reduced. We will also see some nice quality of life updates and more health and sanity threats from disasters. There's also a new camera option to follow units around, small but useful. I absolutely love what they're doing with the game, constant improvements and really listening to their fans. See more in their latest developer diary. I can't say I'm impressed with a creative mode being added. The QOL is just among the basic colony management stuff it prob should have had from launch, and it still lacks in this front even with this update. I didn't give it another look after the last big patch, I guess I'll fire it up and see how it feels after this one.